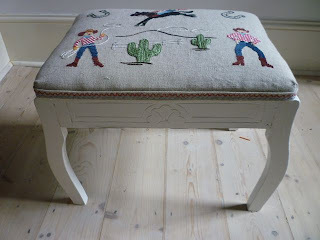 I must apologise to everyone who has left lovely comments for me on my blog, I have been pretty bad at keeping it up to date and chatting back but that is going to change! 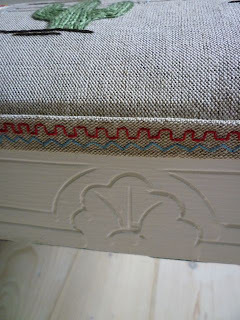 I just keep knitting/upholstering away at home and trying (not very successfully!) to keep the house tidy and children fed and watered so I am a bit tired when it comes to opening the lap top! 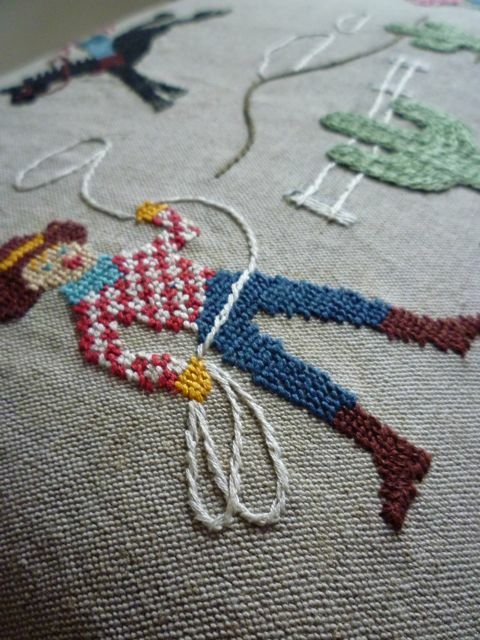 But it would be great to put some of my recent stuff on here to see what anyone thinks. 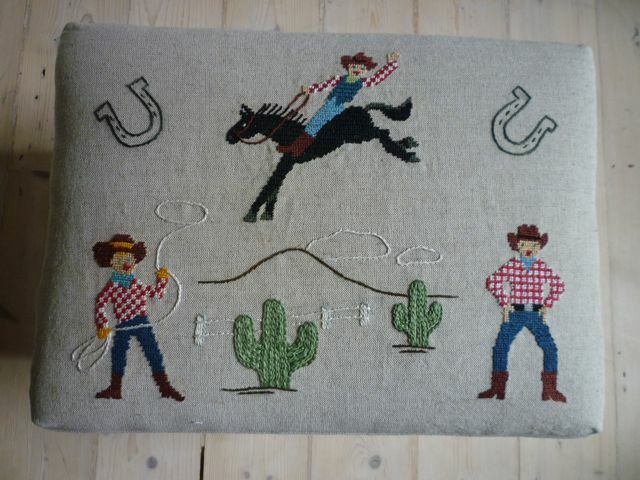 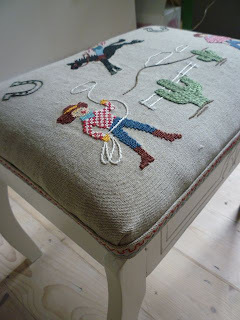 I found a stool which just reminded me of a cowboy as it had bow legs so using the picture of the knitted cowboy below as inspiration I cross stitched a wild west scene. I did this using waste canvas on top of the linen, stitched my design then wet the fabric and pulled out the waste canvas threads - I should have taken photos of the process - next time!